It is only Thursday but it is also the last day of the year and let us end it in style, Vincente Minnelli style. I am grateful for all of you who have visited my blog in 2015, and I hope you will all come back in 2016. The next regular post will be up in two weeks, on a Friday as usual. See you then! In March of 1949, Ingmar Bergman's new film Prison / Fängelse had its premiere and he wrote about one inspiration he had, Hitchcock's Rope (1948), in an article in the newspaper Stockholms-Tidningen. This is what he had to say, in my translation. Hitchcock has made a weighty contribution when it comes to revolutionising film technology towards a rational and more compressed process. For my part I think that his performance in this area will eventually be recognised by film theorists and they will rank him as being among the greatest of pioneers, which he rightfully deserves. The procedure does not sound so remarkable in itself: He does long takes. But: He does long takes where the length is not noticeable. There are times when I think this is my favourite Hitchcock. 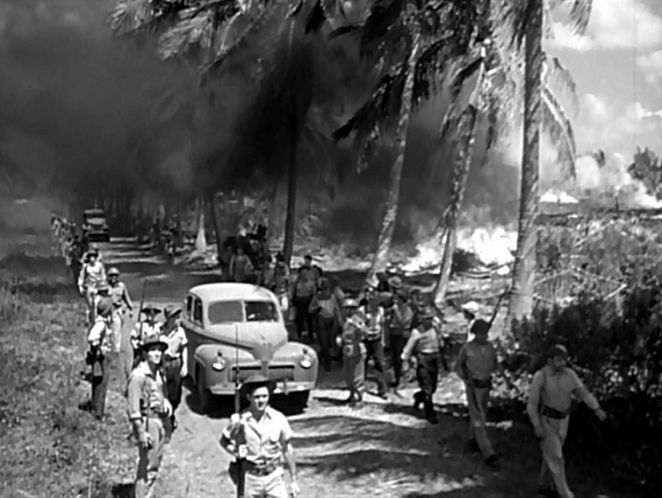 If you watched They Were Expendable (1945), Ford's film about the war in the Pacific and possibly his greatest achievement, and did not know who won the war, you would probably think that the US lost it. Such is the mood of the film. In Peter Bogdanovich book-length interview with John Ford (from 1967) he suggested that Ford's films are about "the glory of defeat" but you could also say that they are about the desolation of victory. This is one of the many things that make it both so moving and so exceptional. There is true beauty in They Were Expendable, or several different kinds of beauty. It tells about a squadron of PT boats in the Pacific stationed outside Manila, on the Philippines, when Pearl Harbor is attacked by the Japanese in 1941. The high command do not think much of these boats and the men who serve on them, they are treated off-handedly and given degrading tasks. 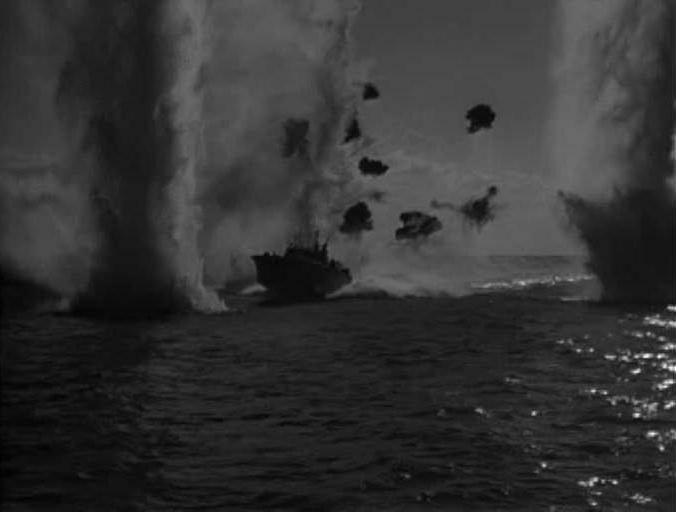 The war is not going well either, the Japanese are beating the Americans and taking over one island after another, so the PT boats and their men have to keep moving, evacuating, hiding, escaping. 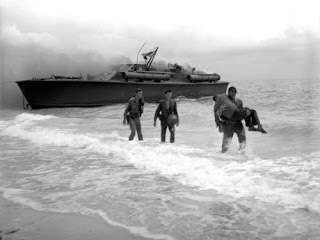 One boat after another is lost, until none remains, and the men are killed off, by bullets or by bombs. But the Japanese themselves are never seen, they are always out of sight, and there is no hostility towards them, not racist talk, even though their ships and their planes bring death and destruction. Robert Montgomery plays the lead, John Brickley, and John Wayne plays Rusty Ryan. Both are based on two actual sailors, lieutenants John D. Bulkeley and Robert Kelly. There is also Sandy, played by Donna Reed. She is a nurse, and after treating Ryan, suffering from a bullet in the hand and blood poisoning, they become romantically involved, as much as you can in wartime and do not know where you will go next or when you will be killed. But they do manage to go to a dance, and have a dinner, and the occasional phone call, until the inevitable. Among many outstanding sequences there is a particular one at a hospital during an air raid with the off-screen sound of the bombs the only thing heard. The camera is focused on Sandy's face during an operation, and it captures the fear, the anxiety and the perseverance of the moment, and a claustrophobic counterpoint to the sequences on the open seas. But there are not many of those, they are mostly on land or in the makeshift harbours. It is not just death and disappointments though; whenever a chance to have a laugh or a drink arises it is taken, however briefly. But the overall mood is downcast. 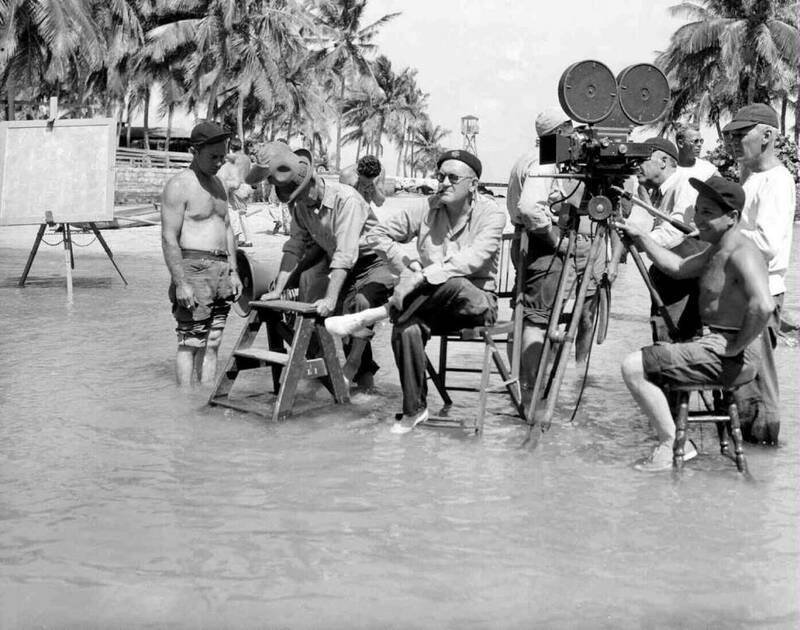 Ford directing in the water. In the end of the film all boats are gone and the remaining sailors are scattered around the islands, some transferred to the infantry. A few manage to get on the last plane out, but those that remain will in all likelihood be killed by the Japanese. We do not know what will happen to them, or to any of the other characters we have met, some briefly, some for a long time. It is war, and you know very little. What will your next assignment be? When will you get food the next time? What happened to your friend, did he survive and will show up later or was he killed? Will you ever see your loved ones again? It is a hard life, so we cry, we bury our dead, and then we move on. What else is there? The film was based on a non-fiction book about Bulkeley, also called They Were Expendable, and written by W.L. White. 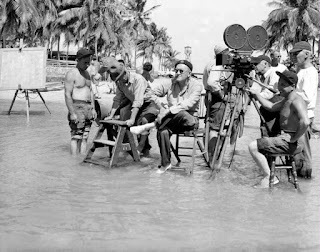 The Bulkeley quote above about finding the film "very authentic" is from Joseph McBride's book Searching for John Ford. I have seen They Were Expendable many times, like most of Ford's films, and I have written about several of them before. I could easily write about them all.